The Gigabyte ODIN GT 800W Power Supply was packaged like a gift from the gods. There was an attractive outer box that contained a more durable inner box. 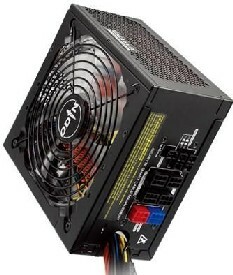 A handle affixed to the top of the package, makes this Power supply easy to carry. Once you get the boxes open, the first thing you see is the manual containing the included PSU management software. The PSU itself is completely secured in place by ultra soft styrofoam, practically eliminating the chance of damage after packaging. Also enclosed are all of the wires you could possibly need to direct the 800 watts throughout your rig.